AND HELLO, ITS MARCH, I HAVE MIA-ED FOR SO LONG, I'M BACK! 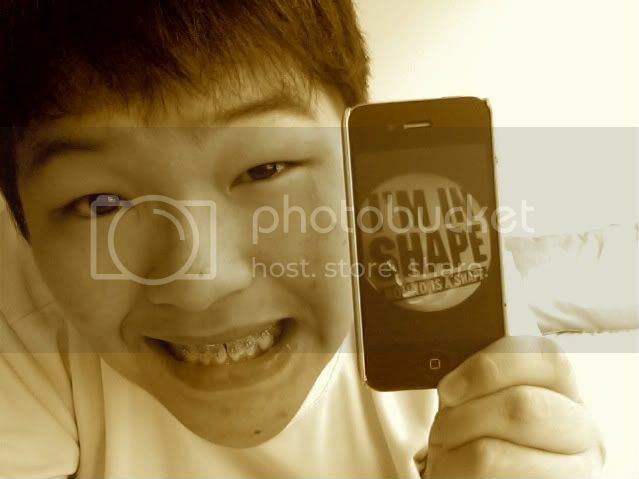 I'm stepping down soon, just one more camp, and speech DAY its the end of my 3 years and 4months as a NPCC cadet! (: GONNA HAVE TO CONCENTRATE ONNN EXAMS! Common test was great. HAHA, OMGGGG I GOT DISTINCTION FOR PHYSICS WITHOUT STUDYING;WAS STONING AT THE PHYSICS PAPER FOR 10MINS FOR JUST ONE STUPID QUESTION AND I GOT 27/30, I TOPPED MY CLASS :DD YAY! OH YA, I FAILED MY CHINESE! ITS DAMN HILARIOUS! ONLY LIKE LESS THAN 10 PASSED IN MY CLASS? HEHEHE WHY AM I TYPING IN CAPS? 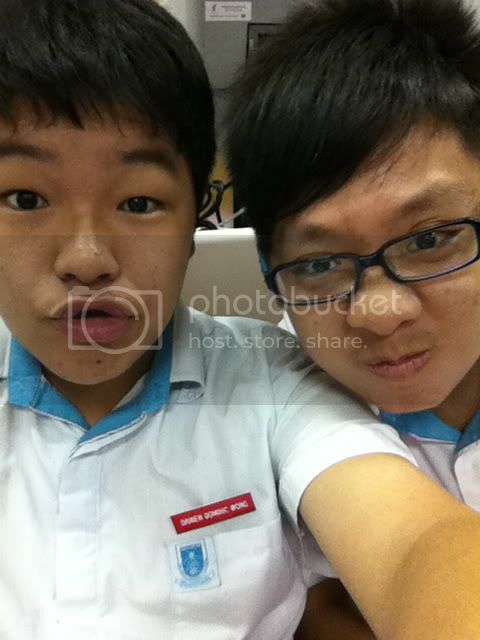 Haha, goinggg to dentist soon! its like been 2 months? HAHA alright. I'll try to blog more often! I'M DAMN HAPPY BECAUSE I'VE GOT MY OWN CUSTOMIZED NAME TAG! 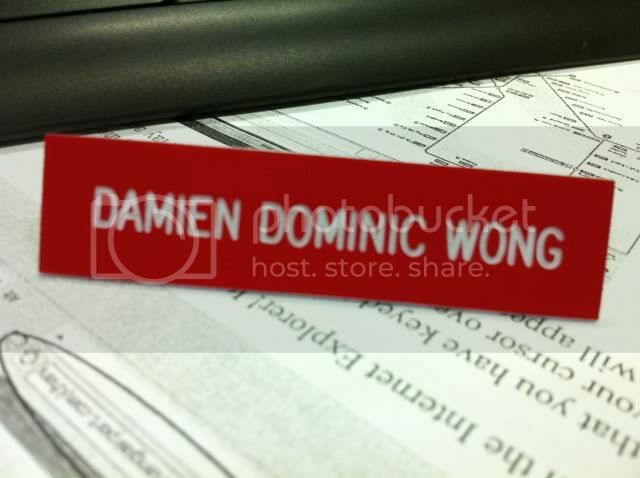 I'M NOW CALLED DAMIEN DOMINIC WONGGG!